Skywatcher 90° Star Diagonal 2"
High quality 2" star diagonal. Makes observing at high angles much more comfortable when using Refractor and SCT telescopes. 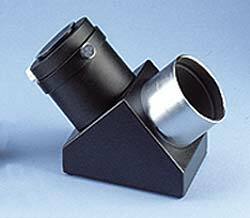 Comes complete with the 2" - 1.25" adaptor so you can use both eyepiece sizes with this diagonal.